The Mini-Theatre has opened the stage to discover new stories. 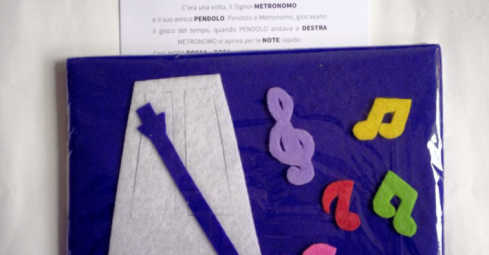 “The Emotionally Musical Note and Mr Metronome” is one of the new Mini-Stories for this term. Colours, shapes and emotion play a big part to tune a melodic music of happiness. This term Minitalia Lab has created a unique adventure that engage the children with expression, feelings and tell to them the story of those and the way to verbalise this. The Opera is the best scenario to discover different characters, bright, funny or serious all of them bring to life the drama, that is performed with the poetry of music and also with the magic of the ballet. I am very thrilled about this term, because the aim is to make the children to listen to the voice they have inside and sing the sound of this with us in Italian. Nothing could be more natural and spontaneous and definitely fun. My personal goal this term is to let my Mini-Explorers to express themselves and let them create doesn’t matter if the sound isn’t perfect or the artwork isn’t shaped has should be. I want to hear what they feel and what they see. The first words a baby says aren’t perfect but they make them to take the sound of the music by acting and performing every day on the stage of life. We have created the best stage with simply black and white set, colourful costume and lovely characters to play along with us.